Sorry! We are currently sold out of "Breathe Easy Set with NovaFuse" Please select another size or sign up for our Wait List to receive stock notifications. Love all the essential Oils in this set and is my first time using the NovaFuse. Super easy to use, I Love it! Breathe in. Breath out. Breathe easy! The Breathe Easy Set includes six amazing essential oils that support respiratory concerns and promote clean air in your home Lemongrass, Lavender, Eucalyptus Globulus, Sweet Orange, Peppermint, and Tea Tree are exactly what you need to help you breathe clearly and deeply. 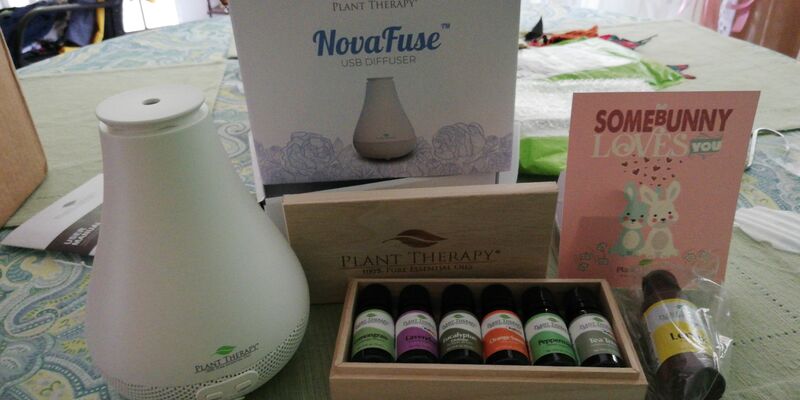 This set also comes with our stylish white NovaFuse USB Diffuser, making it a perfect gift for anyone interested in beginning their essential oil journey. Breathe in. Breath out. Breathe easy! The Breathe Easy Set includes six amazing essential oils that support respiratory concerns and promote clean air in your home Lemongrass, Lavender, Eucalyptus Globulus, Sweet Orange, Peppermint, and Tea Tree are exactly what you need to help you breathe clearly and deeply. This set also comes with our stylish black NovaFuse USB Diffuser, making it a perfect gift for anyone interested in beginning their essential oil journey.